Many today may be discouraged by the condition of Christianity in Scotland, while unaware of its powerful legacy. 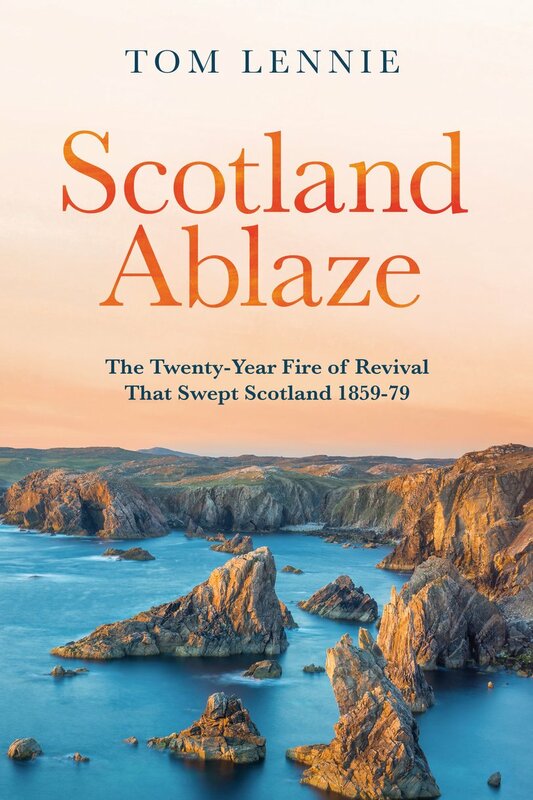 Following on from Glory in the Glen and Land of Many Revivals, Scotland Ablaze continues Tom Lennie’s compelling historical series on Scottish revival movements. Lennie here focuses on the inspiring period from 1858–79 in which much of Scotland was spiritually awakened, affecting every Scottish county. In three parts, Lennie guides us meticulously through the origins of the 1859–61 revival and each area affected, then goes on to chronicle a series of little–known revival after–waves that continued through the 1860s and early ‘70s, and finally the remarkable evangelistic campaign of Moody and Sankey, in which many have discerned the holy breath of authentic revival. Through this deeply encouraging and fascinating read, may we not only see the power and impact of God’s work in our history, but may we excitedly anticipate His miraculous work in our future. Scotland was deeply affected by revival during the two decades following 1858. Many people turned from nominal Christianity or even outright scoffing to deep personal faith. In this carefully documented book, Tom Lennie shows that the revival movement of 1859–61 broke out in every Scottish county and that the Americans Dwight L. Moody and Ira D. Sankey roused Edinburgh and Glasgow to a high pitch of spiritual enthusiasm. Scotland was far more ablaze than we have previously known. Lennie’s historical grasp of the national and local context of the mid–Victorian era provides an insightful and scholarly grasp on what God was achieving during those years. In covering areas as geographically and culturally diverse as rural Aberdeenshire, industrial Lanarkshire, the borders and the north of Scotland Lennie has provided not only a scholar’s understanding of the times, but he also describes the significance and importance of: passionate prayer, the role of the local church, itinerant preachers, and the impact of the Spirit on entire communities. Lennie’s writing, however, should come with a ‘health warning’; it is difficult to put it down once you begin to flick through its pages. On reading this book, on the back of his two earlier volumes, I am left with a deep impression of the overwhelming vastness of the grace, mercy and favour of God towards our land in times past; but also with a deep sense of sadness at the way in which, as a nation and as churches within it, we have squandered and neglected these abundant mercies. Lord, have mercy upon us!